Stubbington Study Centre is a Children’s Services facility available to schools and other pre-booked groups. The 14 acre site can provide residential accommodation to over 100 children and their teachers each week. One of the previous heads of the study centre passed away and to commemorate his work they wanted an interesting and interactive activity for the playroom. The head was a very keen cyclist and so they wanted the activity to be cycle-related. 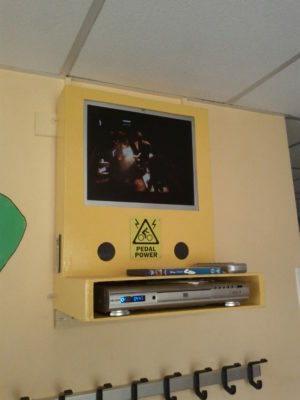 We design, built and installed a pedal powered DVD unit so that the young folk can watch films purely using their own power. This unit has a large bar-graph display to show how much power they are generating. This pedal generator is designed to be entertaining and fun, while also being educational and robust. 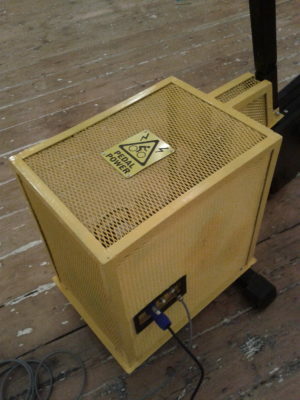 The pedal generator was designed with all the rotating parts enclosed to ensure safety. 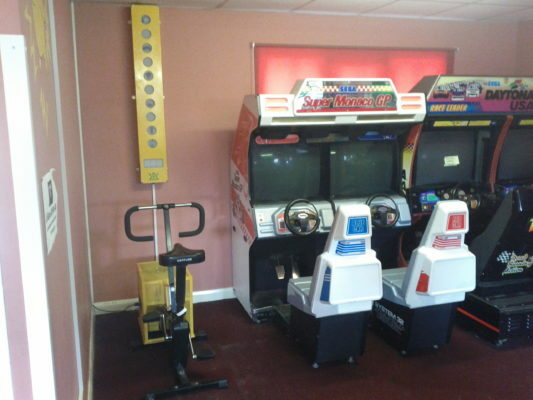 We have built many bespoke interactive pedal powered units for many different applications including cinemas, Christmas lights, sound systems, energy challenges, scalextric and bubble machines.